For a quick getaway, there is no better place than Lake Tahoe. The cute little town and gorgeous scenery offer countless hikes, waterfronts and restaurants to check out in your free time. If you’re looking for a place to write your next novel, or maybe just read one, check out Syd’s Bagelry & Espresso. Not only are its bagel breakfast sandwiches and burritos delicious, but its lavender white mocha will change the way you look at caffeinated beverages. Maybe you need a heftier snack. In that case, you can’t go wrong with Fat Cat Bar & Grill. It have something for everyone, including tofu wraps, delicious salads and a burger topped with mac ‘n cheese. Need I say more? For the meat lovers among us, check out Moe’s Original Bar B Que. All the food is made fresh, so you have to get there early, because it actually does run out. It’s also right on the water and offers awesome live music after hours in the bar upstairs. Going along with the live music vibe is Squaw Valley’s Tuesday Bluesday. 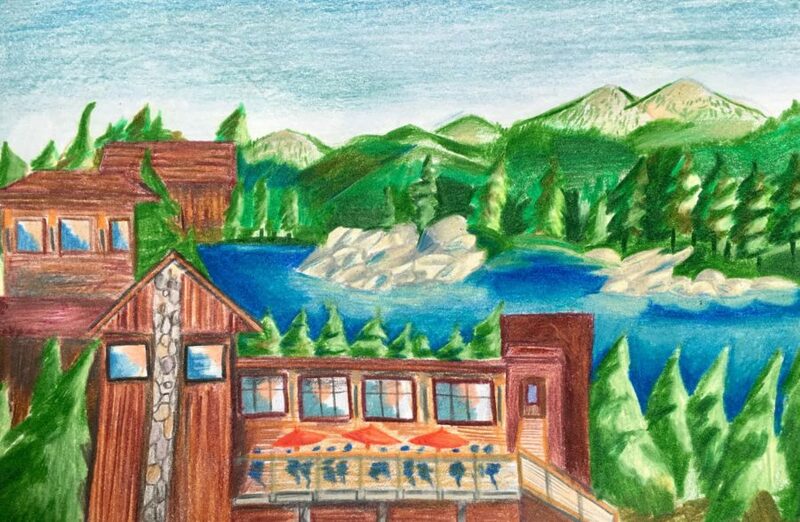 If you’re up for a short drive, head over to Squaw Valley for an array of restaurants and great live music in the central hub. For after-hours fun, the best bars are Bridgetender Tavern and Grill (BT) and Pete ‘n Peter’s. BT has the best beer in the world, by the name of the Summer Solstice. While it takes a few minutes to brew, it’s well worth the wait. Pete’s, on the other hand, offers pool, shuffleboard and great company for a guaranteed good time. Low-key days should include a trip to the local thrift shop as well as a little boutique by the name of Tipsy Gypsy. The prices are somewhat reasonable for unique bohemian clothing. Of course, any trip to Tahoe wouldn’t be complete without a day on the lake. Before sunset, make sure to get out on the water for some wakeboarding, tubing or good old chilling. Alternatively, you can always head to the lake for some rafting and tanning. Then, to continue the active fun: Pick a hike, any hike. You really can’t go wrong.